As much as we love beauty, we are total art freaks at heart. 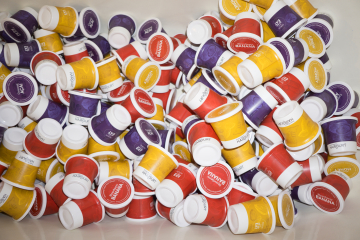 So when those two worlds collide, we get super excited. And as luck may have it, they recently collided in the most awesome way possible with the launch of “Project Beauty”. 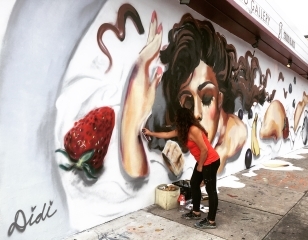 On December 4, to celebrate the launch of the new e-commerce platform for hair and skin, Project Beauty enlisted Miami street artist, Diana Contreras, to create a mural inspired the beauty experience. Project Beauty is more than just an e-commerce site; it’s a place for beauty enthusiasts to visit, explore and discover what’s new and next in beauty. 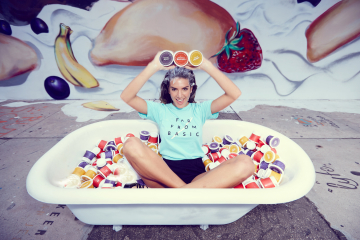 Inviting and intuitive, the MyProjectBeauty.com website is the exclusive source for new and innovative products like Hairgurt (hair) and Pardon My Pretty (skin), with new products launching in the coming months. 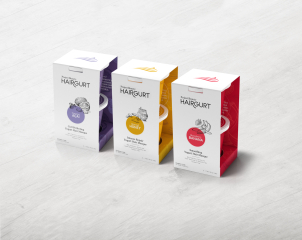 Hairgurt is the company’s line of shampoo, conditioners and masques that smell as fresh and delicious as your local farmer’s market. 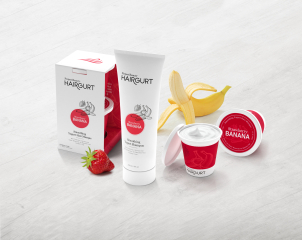 Strawberry Banana, Coconut Açai and Almond Honey feed the senses while unique ingredients such as yogurt protein nourish the hair. The Pardon My Pretty line includes body scrubs, lotions and sprays enriched with Arctic Vitamins and wearing evocative names like Backyard Picnic, Date Night, and Out of the Shower.